I had such a lovely time last Saturday. 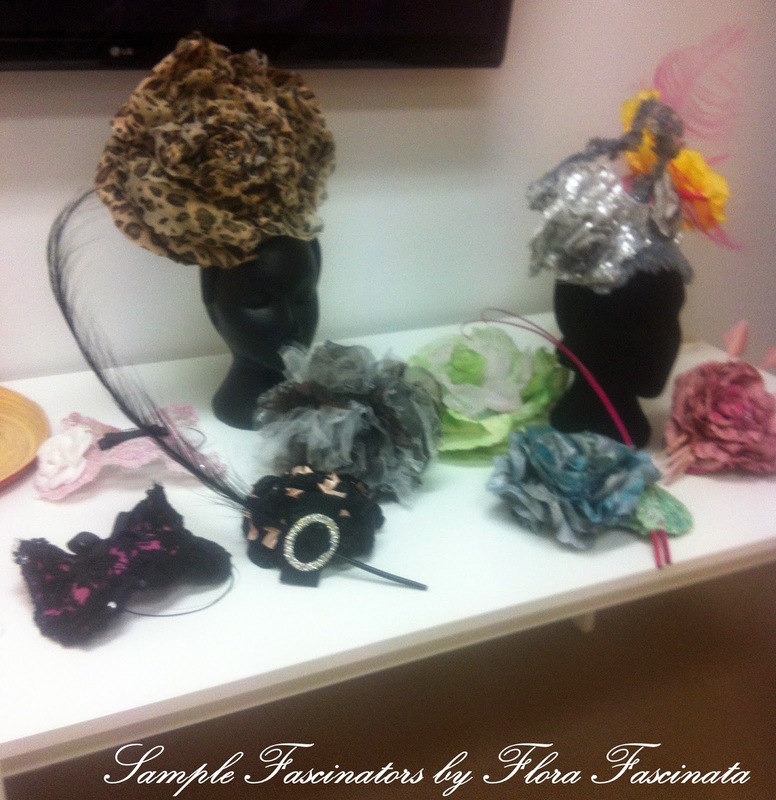 I attended a Make your own Fascinator workshop with my friend Flora. Flora is an uber clever millinery type, who fashions pretty things from wisps of fabric that the rest of us wouldn't credit with a second glance. Here's some of her gorgeous things. So a few of us went along to see if we could inhale some creative neurons just by being in Floras presence, but alas, we had to actually DO stuff! Fortunately all was well, and none of us were to shabby in the creativity department. ...that's a couple of hours worth of cutting satin and organza petals and hand stitching, thankyou. Not to be sneezed at. 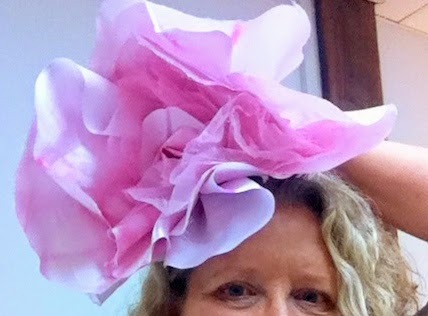 And of course, the first picture above, is what my fascinator looked like after Flora had waved her magic tidying and stiffening wand over it. Ahem. Thanks Flora....mwah! Clearly I have a few things to learn yet! But honestly, what a gorgeous way to spend a morning. Fluffing around with pretty stuff and fashioning gorgeous girly things. It doesn't get much better. 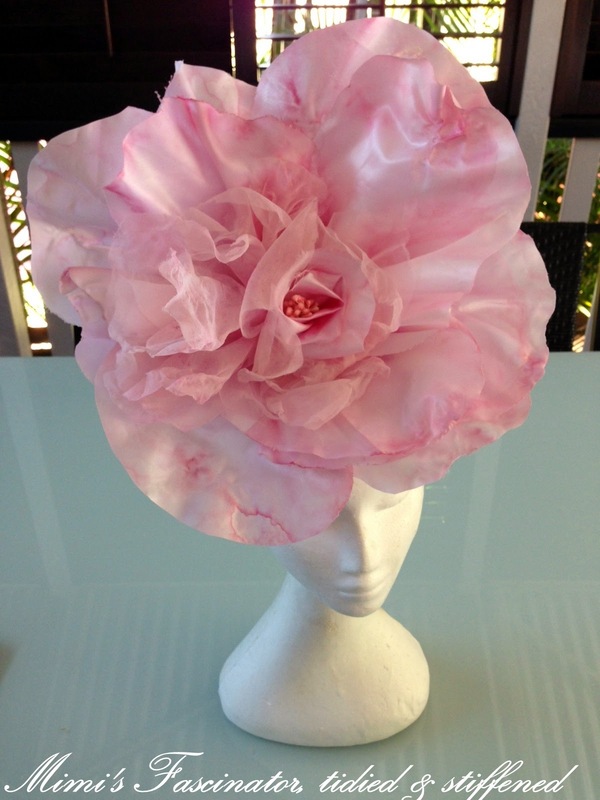 If you'd like to learn how to make your own Flora style fascinator, then there are worse ways to go about it. Mimi!!! I had a lovely time teaching you a few secrets of making floras. Your piece has come up a treat!